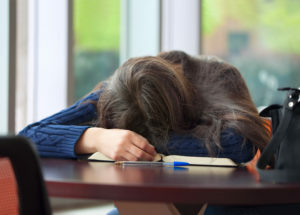 Do you feel exhausted, weak or unmotivated, regardless of how much sleep you get? Have you seen doctors and had lab tests to try and figure out why you are so fatigued, only to be told that you’re perfectly healthy? If you answered yes to either, you may have adrenal fatigue; a debilitating condition that is wildly under-diagnosed and rarely treated! Your adrenal glands are responsible for producing and regulating a variety of important hormones, and they play a vital role in the production of the stress hormones cortisol, epinephrine, norepinephrine and adrenaline. Our modern lives subject us to countless daily stressors; stressors that our caveman ancestors did not have to deal with. Waking up to a jolting alarm clock, fighting traffic, meeting deadlines, irregular sleeping and eating schedules, overtraining at the gym, overpacked schedules, and financial worries are just a handful of stressors that strain your adrenal glands. These daily stressors put your body in a state of fight-or-flight, and your adrenal glands react by releasing extra cortisol and adrenaline in order to prepare you to ‘fight or flea’ the perceived threat. Overtime though, your adrenal glands become exhausted, and your hormones depleted, leaving you feeling like your running on an empty tank. Adrenal fatigue is an endocrine condition that is so common that some alternative health practitioners are now referring to it as ‘21st Century Stress Syndrome.’ Although adrenal fatigue is estimated to effect millions of people worldwide, conventional medicine does not yet recognize it as a distinct syndrome, so a check-up with a traditional MD will typically not result in a diagnoses. Recognize Any Of These Common Adrenal Fatigue Symptoms? Adrenal fatigue should not be taken lightly and it is unlikely to go away on it’s own. If left untreated, the following consequences may arise. If you identify with the above symptoms and risk factors, you should consult with your healthcare practitioner, or book a one-on-one consult with one of our Holistic Health Experts. In the meantime, the following food and supplement recommendations can help jump start your recovery and help you start feeling more like yourself again. Start by cutting out all sugar, refined grains, alcohol and caffeine — these substances put unnecessary stress on your adrenal glands. Use the 80/20 rule, and try to make 80 percent of your diet wholefoods based, with plenty of whole grains, nuts and seeds, healthy proteins (fish, fowl, eggs, organic processed meat, legumes etc. ), and at least 6 servings of brightly colored vegetables a day. Eat within half an hour of waking up and have 3 small snacks and 3 small meals a day, so that you’re eating something every 3 hours. Try to consume a combination of healthy fats, protein and whole grains with each meal, in order to balance out your blood sugar levels. Don’t eat sweet fruits on their own, because they will spike your blood sugar, and try to limit starchy and sugary vegetables and fruits, especially bananas. Sodium is essential for proper adrenal function but you should avoid processed table salt, and instead, nourish your adrenal glads with Himalayan or Celtic sea salt. Healthy fats are also important, and required for the production of hormones. Good examples include olive oil, real butter, coconut oil, avocados, walnut oil and grapeseed oil. Finally, identify any potential food sensitivities and be sure to eliminate them from your diet. Adrenal Fatigue Center. Adrenal Fatigue Diet.